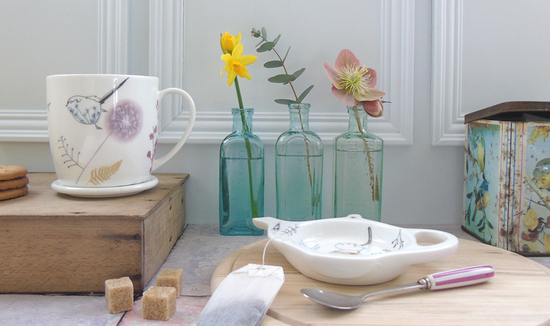 Charming bone china ceramics to bring the magic of nature into your home. 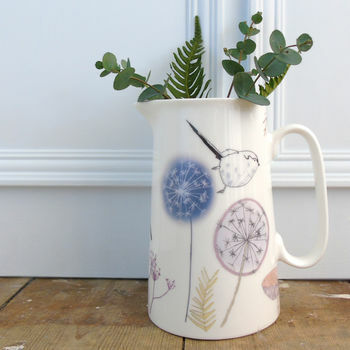 My name is Lindsay and I can usually be found in my garden studio, hand decorating bone china tableware and home accessories with ceramic transfers made from my distinctive garden bird and botanical illustrations. These drawings are inspired by the feathered visitors to my garden along with nature walks in the Yorkshire countryside whatever the weather! 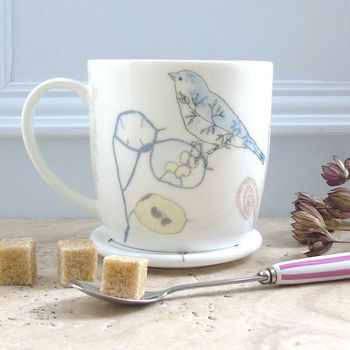 They are professionally printed as ceramic transfers and then carefully hand cut and applied to a growing range of bone china beautiful, yet functional products to make delightful gifts for bird and nature lovers. 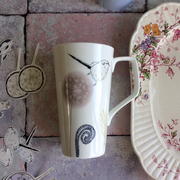 Every element of my illustrations is printed individually so I can compose a unique overall design as I decorate each piece, making littlebirdy china even more of a special treat. 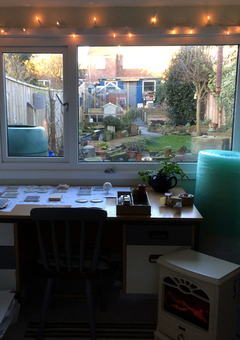 Once dry, I stack the ceramics in my small hardworking electric kiln. 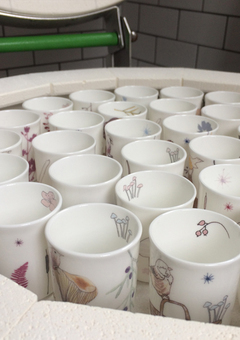 The firing process fuses the transfers into the glaze of the product so it will never scratch or fade and can provide enjoyment for many years to come! "Delightful! It was a gift for someone who is not easy to buy for, and they were delighted with it! So they will probably be getting more from that range"
"An absolutely beautiful jug. Communication with the seller was clear and efficient and the item was delivered sooner than expected." 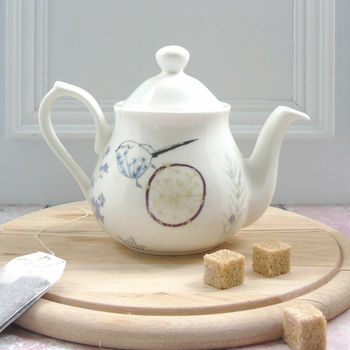 "I love this teapot and the service was terrific." 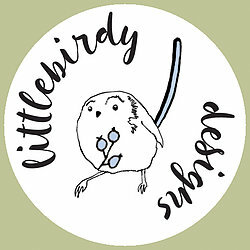 "Beautiful little tile, packaged well and very fast service! Recipients were delighted with it." 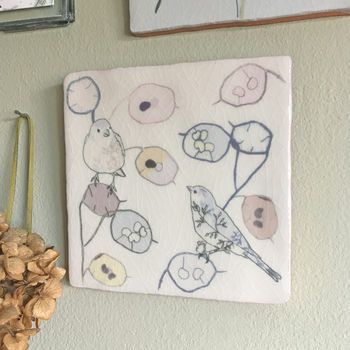 "These hand decorated coasters capture the emergence of spring. Lindsay draws inspiration from the wildlife in her garden and the nature walks she takes in the East yorkshire countryside surrounding her home." In the UK all items are posted using Royal mail, first class service therefore delivery is estimated at 1-2 working days (including Saturdays) after dispatch.